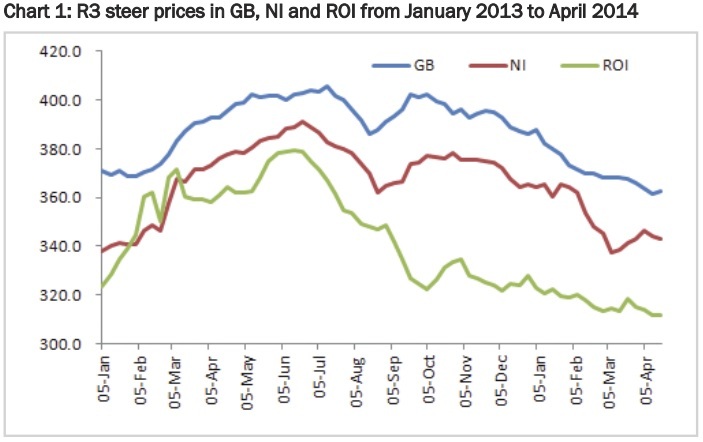 The beef price differential between Ireland and the UK has a narrowed since the start of the year, but still remains substantially wider than the differential between Northern Ireland and the UK. 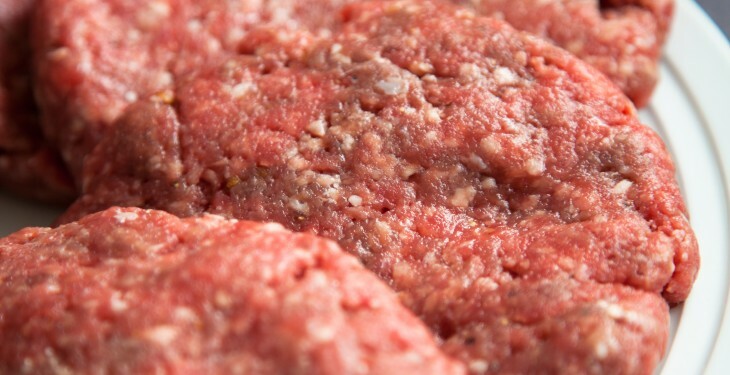 This is according to analysts in the Livestock and Meat Commission (LMC) in Northern Ireland. In its recent market update, the LMC outlined in the week ending 04 January 2014 the differential in R3 steer prices between Ireland and the UK was the equivalent of 77c/kg (64.6p/kg) and by last week this had narrowed to 61c/kg (51p/kg). This narrowing in the differential by the equivalent of 13.6p/kg over the 16-week period has narrowed the differential on a 330kg R3 grading steer carcass from £258 in the week ending the 04 January 2014 to £204 last week. The LMC noted that there has been a drop in prime cattle prices in all three regions, which has been attributed to the supply of cattle being higher than the demand for beef during 2014 to date. 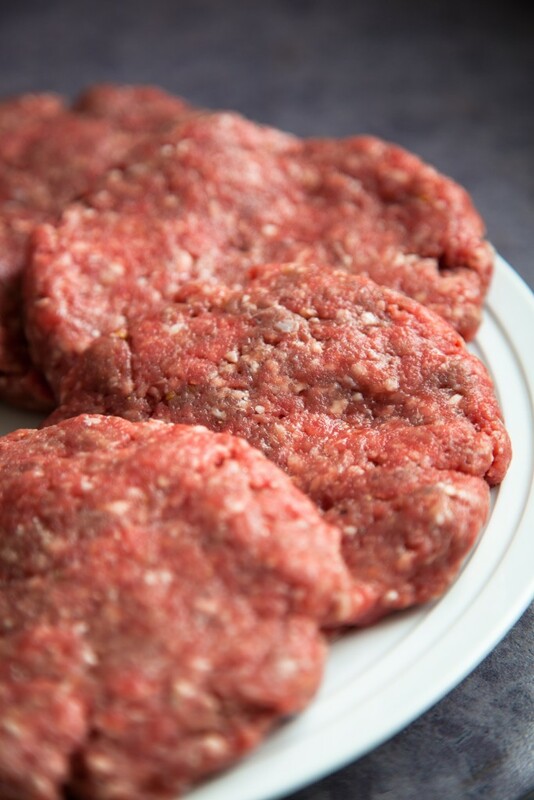 It says industry sources have indicated difficulties in beef sales due to the fairly mild winter and warm spring combined with a relatively high retail beef price and competition from other meats. Analysing thought put in the regions the LMC outlined that supplies of prime cattle in NI during the first sixteen weeks of 2014 totalled 101,022 head, a 3% decrease on the 104,289 head killed in the corresponding period in 2013. Meanwhile in the UK, prime cattle throughput was up by 2.2% and beef production up 2.9% on year earlier levels for the period January to March 2014. As we know in Ireland, prime cattle throughput for 2014 to date is 13.3% increase in throughput year on year. The LMC commented with supplies of prime cattle outpacing demand for beef during 2014 to date in all three regions the average deadweight prices have gradually come back to just above the levels recorded in the corresponding period in 2012.